Place all ingredients (only half of coconut shavings) in a mixer or high power blender. Mix or blend well until forms a dough. 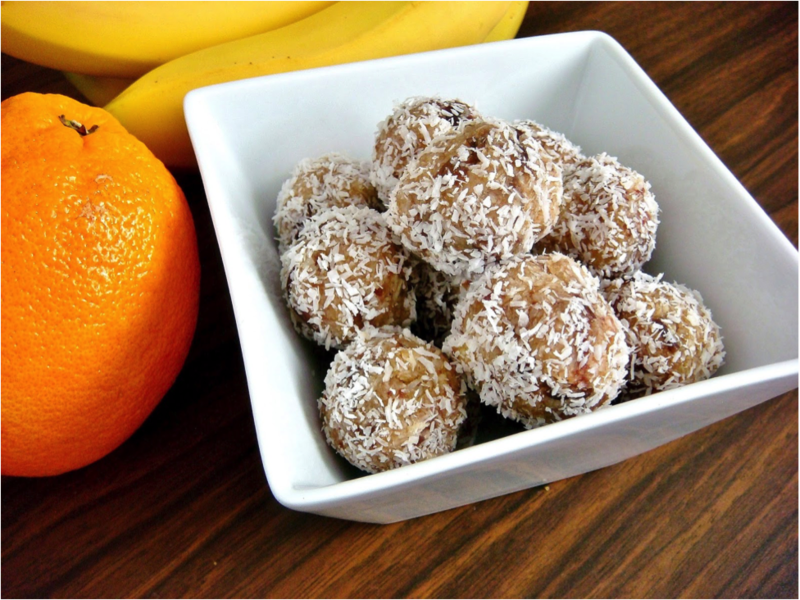 Roll into balls, approximately 10 balls, then roll balls in a bowl with the remaining coconut shavings. Place balls on baking parchment paper, place in the refrigerator until balls are hardened.